Spectacular year round sunsets over Copano Bay from this newly built bayfront home with private lighted fishing pier! 15 Belle is a brand new two story waterfront home finished in 2017 with a private lighted fishing pier in Holiday Beach. There is an underwater green light and two above water fishing light to maximize fishing conditions. Light colors and positions may change seasonally in order to provide the best environment to attract fish. The 200 foot pier features a fish cleaning station with water and a T-Head with flood and spot lights that you control.This home has a huge yard and driveway which gives you plenty of space to relax outside and enjoy the weather. There's also a new All-Seasons smoker/grill outside so you can prepare food while taking in beautiful water views. There is a large open living room and kitchen area with granite counter tops and a modern design with sweeping views of the bay. Complete with a coffee maker and blender, this kitchen has everything you need to make delicious food and drinks. Relax with your homemade drinks at the mini bar area while cooking up your catch of the day. The living room has a 60 inch flat screen smart TV with plenty of comfortable seating areas. This house sleeps up to 10 people with 4 bedrooms and 3 bathrooms. All beds have memory foam mattresses to ensure a comfortable night’s sleep after a hard day of fishing, birding or just relaxing on the porch. 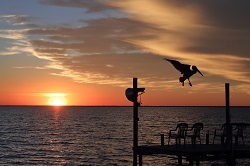 You can enjoy year round sunsets over Copano Bay from the large upper deck. 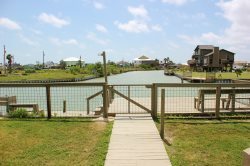 The 200 foot fishing pier is just a 30 foot walk from the downstairs patio and is completely private. This home is the perfect place to bring your family and friends for a fun fishing trip and relaxation on the water. (The homeowner does leave his boat in the carport under the home.) The maximum limit of 10 guests is strictly enforced. Please adhere to the limit of up to 10 guests in this house. From the first time he pulled into the Key Allegro marina in 2004, Rob knew Rockport was a unique town. They searched up and down the coast from Palacios to Corpus spending time at each small town but chose Rockport because it has the best bays and the most conveniences without being "too big". They purchased the lot for 15 Belle because it aligns due East/West which makes for amazing, unobstructed sunsets over Copano Bay. 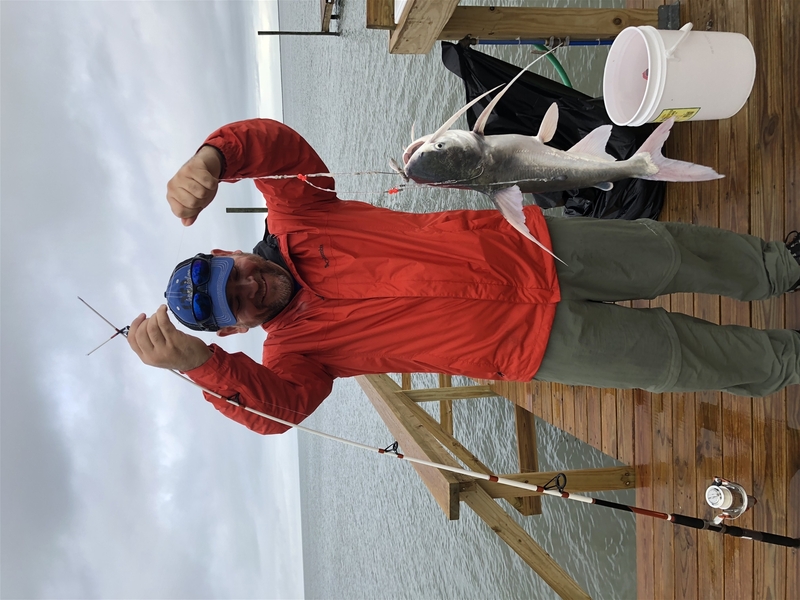 The home was built around being a rental, and they enjoy giving guests the access to amazing fishing on their private fishing pier - lighted differently throughout the year for the best fishing conditions. Holiday Beach is only a short drive to Rockport where you can enjoy attractions such as the Rockport Beach, the Texas Maritime Museum, fishing guides, shopping, and amazing food! 15 Belle is located at the entrance of Holiday Beach which makes it the prime location for that feeling of privacy while still being super close to all the fun. You will leave feeling like you got the full beach and fishing trip experience with this home. Brandy and the Team are the best with customer service as a priority! Loved it, we will be back next year!